Coco Beach Ibiza, located on the most beautiful beach section of Playa d’en Bossa, is now one of the absolute hot spots of the popular Balearic Island with its successful blend of exquisite restaurant and exclusive beach club. For its thirteen season, fantastic food, cool drinks, great events and relaxed music invite you to stay at the Coco Beach by the sea. The sixth edition of the Coco Beach Ibiza compilation series is the perfect musical soundtrack for a relaxed day and lukewarm Ibiza summer nights. The volume 6 has been compiled in collaboration with DJ Danielle Diaz & Kontor Records and comes as a 3 CD set as always in a noble digipack. The first compilation ‘Good Morning Ibiza’ showcases Jose Padilla featuring Goga G Slow Dance Edit “Bosaxi”, Major Lazer & DJ Snake, Sebastian Davidson, Alan Walker “Sing Me To Sleep”, Ocean Weiss & Elian Rise “Far From You”, Synapson featuring Victor Démé “Djon Maya Maï”, The White Lamp, Marc Werner & Jason Anousheh, Melosense, Mike D’ Jais, Rodg “Islands”, Alexander Hristov “Let’s Dance”, Patrick Baker “Call Me Up”, Addal featuring Lisa May (Kiso Extended Remix) “Morning In Love”, Charlie Y Vano featuring Jackie Vegas “Wonderful”, Milky Chance “Down By The River” (FlicFlac Club Mix) and Dimitri Vegas & Like Mike (Magic Wand Remix) “Stay A While”. The second one called “Life Is Better At The Beach” starts with Blondee & Marc Werner featuring Fabienne Rothe “After All”, Sam Feldt & Deepend featuring Teemu “Runaways”, Marra Kesh & Khetama, Deefy – Lights Go Out, A R I Z O N A, Jakub Ondra, MÖWE feat. Cleah “Back In The Summer”, Sebastien, Lexer, Manuel Riva & Eneli, Consoul Trainin “Take Me To Infinity”, Cry Boy Cry “My Heart Is So Heavy”, Vijay & Sofia Zlatko, Notte “Failed Love”, FDVM featuring Josh Wantie “Brightest Light”, Dmitrii G, C-R to end with LVNDSCAPE & Holland Park featuring Nico Santos “Waterfalls”. 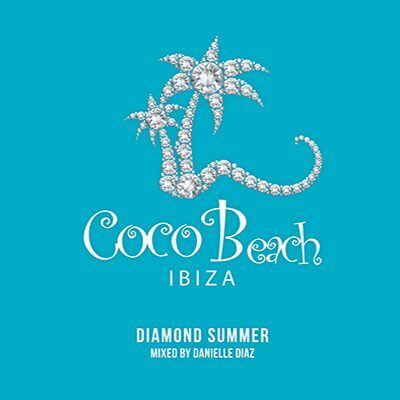 And Pure House is coming with the third album ‘Ibiza Nights’ for which Danielle chose Nalin & Kane performing Sebastien Extended Remix “Beachball”, C-Ro featuring Florence Bird “My Love”, Just Kiddin “Always There”, Lost Frequencies featuring Sandro Cavazza , Maylo & Josh “Baby It’s You”, Chris.I.Am, Lost Frequencies, Mykel Mars, WHOISJODY, Bakermat, Afro Medusa featuring Erick Morillo Extended Remix “Pasilda”, Nora En Pure, MOGUAI, Alicia Keys with Kaskade Mix “In Common”, Jus Jack, LIZOT featuring Emelie Cyréus “On The Top” and Ferris featuring Benson in Luca Schreiner Remix “Up All Night”.